Whether you are new to exercise or are a fitness guru, our classes are right for you! We offer mind / body fitness classes in the new Oyhut Bay Wellness Activity Center. These classes are appropriate for most fitness levels. Yoga and Pilates require very little equipment, and no previous experience. We have offered Pilates fitness classes in the North Beach area since 2010 and enjoy helping our clients achieve new fitness goals. 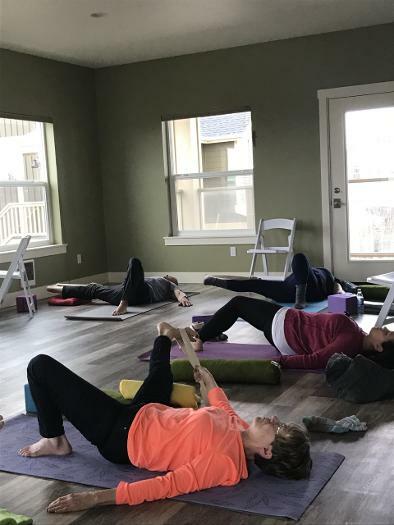 Our classes help support a healthy spine, improve mental and emotional health, and offer gentle conditioning. They are safe for nearly everyone, improve coordination and flexibility, and can reduce pain and stiffness. In our Yoga and Pilates classes, we focus on mat work. These Mind/Body classes require no equipment, although we do incorporate props such as blocks, straps, bands, straps and bolsters as indicated. Exercise Science is proving that these body weight exercise produce results that are achievable and maintainable. 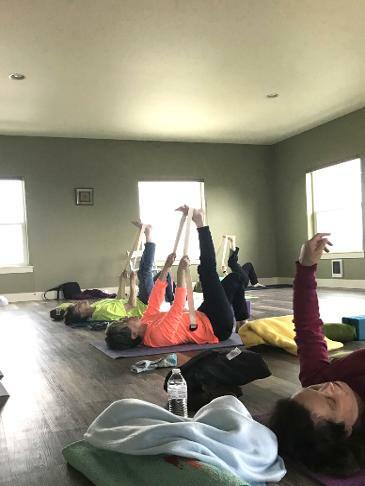 While Yoga and Pilates are a whole body workout, we sometimes receive requests from our clients to focus on certain areas of the body which gives us a new challenge. We have a lot of fun with the new techniques and enjoy seeing the progress we make as a class. "My husband compliments my appearance and notices the difference Pilates has made for me." "I continue going to classes because it makes me feel better. I have noticed improved balance, posture, and strength."